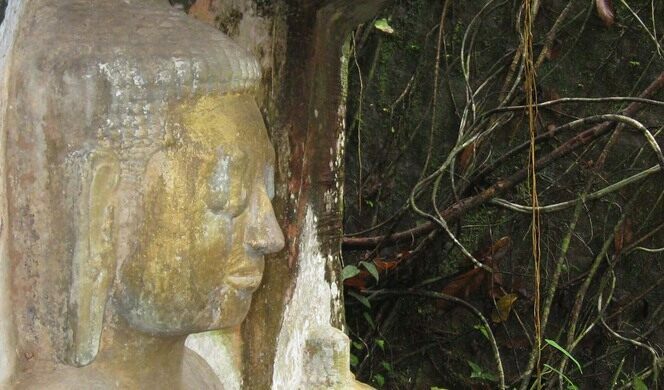 A mysterious, hidden cluster of Buddha sculptures carved into the rocks. On a road not far from Laos’ capital city of Vientiane is a handmade sign clearly different from the regular road signs. It does nothing to convey the hidden marvel it leads to. Believed to have once stored either human remains or rice wine, thousands of mysterious stone jars lie in ruin. Eat a meal surrounded by bomb fragments. 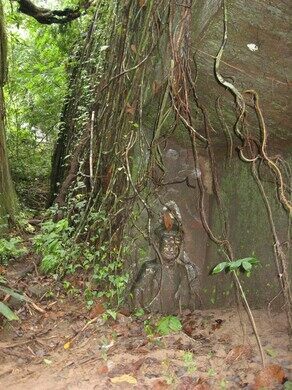 Secluded within the woods is a group of Buddha sculptures carved into the rock. Its name translates to “Elephant Palace” and references an elephant graveyard supposedly once discovered nearby. No one knows for sure when the mysterious sculptures were created, and guesses range from the 10th century to the 16th century. The biggest statues are about 10 feet high, but some smaller statues can be found in the surrounding area. 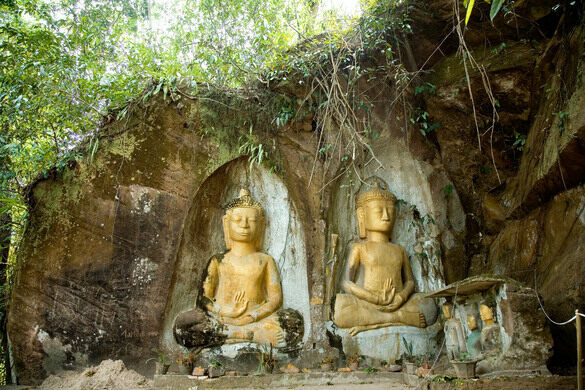 If you look closely at the rocks, you’ll also notice less ornate carvings of Buddha practically hidden behind the greenery. Overgrown with vegetation, the whole shrine feels abandoned and forgotten, like it could be lost to time at any moment. The centuries-old figures are pale, their gold paint peeling and faded. The Buddhas all have peaceful, serene expressions that mirror the quiet, undisturbed atmosphere of the shrine. Heading North on Road no. 13, is a sign saying Van Xang. Follow the well-marked but dirt road besides it for a couple of miles until a cluster of boulders and heavy vegetation signals the end of the road. The statues are visible from this point. An ancient jungle temple carved into a rocky overhang of the Dane Soung Plateau. Bizarre Hindu and Buddhist sculpture park. Giant jewel-toned statues fill the grounds of this Cambodian Buddhist temple in California.